​Nicklas Bendtner has been sentenced to 50 days in jail in his native Denmark, having being convicted for assaulting a taxi driver. The former Arsenal striker, who now plays for Rosenborg, broke the taxi driver's jaw following a night out in Copenhagen back in September, having refused to pay the £4.80 fare. The City Court of Copenhagen reached its verdict after watching a video of the incident filmed from inside the cab, the ​Daily Mail report. Bendtner has also been ordered to pay the driver compensation of over £1,000. 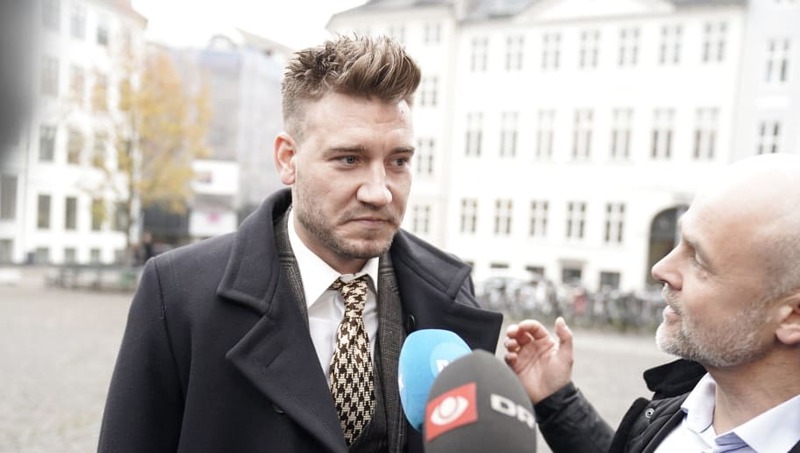 Bendtner has previously apologised for his role in the incident, but his solicitor says that the Denmark international plans to appeal the court's decision. "I was involved in an extremely unfortunate episode," said Bendtner at a press conference three days after the incident, quoted by The Mirror. "I could not imagine it would develop as it did, and of course I'm extremely sad that the outcome became as unfortunate as it did. "To Rosenborg fans and audiences, I regret that this has happened. I’m sorry with all my heart that we are standing here today." Bendtner has been a figure of affectionate mockery among football fans in the past due to his over-inflated opinion of himself and predictions for a sparkling future which never materialised. Back in 2009, he said that he wanted to be regarded as one of the top five strikers in the world within five years, adding: "Trust me, it will happen". He scored 45 goals in 171 appearances for ​Arsenal between 2007 and 2014.